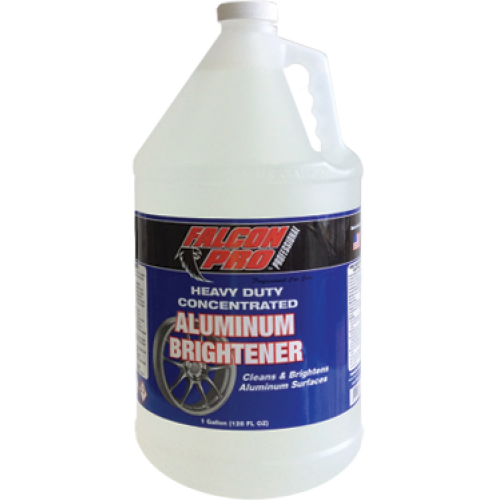 For use on aluminum trailers, non-polished tire rims, and other ferrous metals where superior cleaning and brightening are required to maintain a good appearance. Quickly cuts through road film, diesel smoke, brake pad dust, and road grime. Not to be used on anodized or highly polished metal surfaces or allow runoff to contact sensitive surfaces as irreversible damage may occur. Recommended to be diluted at lest 1:1 with water.